Identifying depression as a medical condition rather than spiritual weakness is key to our faith’s survival. Prayer, in isolation, is not the best way to treat any illness, mental illness included. It took me several years to accept I needed professional help. I was finally persuaded by Thena Ayres, the Dean while I was at Regent, that although I was coping much as I might manage life with one arm, two would surely be better and perfectly achievable with the right treatment. I ended up seeing a psychiatrist for three years and I’ve been taking medication for over ten. The combination brought more healing than I would have dreamed possible. When we are healthy and well, we can make the mistake of thinking our relationship with God relies almost entirely on the effort we put into prayer, Bible reading, church going, service and so on. Depression can dismantle every ramification we’ve put in place to grow in faith and leave us as dependant as newborns on God’s care. That is uncomfortable, frightening and humbling. But I can testify that every time I’ve been unable to hold up my end of the relationship, God has held things together. We need to be as gentle and kind to ourselves as God is when we are low. There will come a time when we can manage more than weepy, monosyllabic, God-ward groans but while we are just surviving, God holds us close and expects little in return. While there is a clear biblical call for Christians to meet regularly for teaching, worship, and mutual encouragement, attending a church service can be beyond endurance for someone in the depths of depression. There are too many people in one place; there is a high risk of one or more of these people being too kind and making you cry, or saying something damaging and making you cry, or ignoring you and making you cry even more; you can’t go in your pyjamas and take a blanket to hide under; you are almost guaranteed to come away with the impression that you are the only Christian in the building who hasn’t got it all together. However as we all know, church is not a building and church is not a Sunday service. Church is the body of Christ, a community of believers, a family. There are plenty of ways to stay connected even if we can’t face the big get- togethers. The old illustration of the burning coal that grows cold when set on the hearth is echoed in the dying faith of many a Christian who has chosen to go it alone. 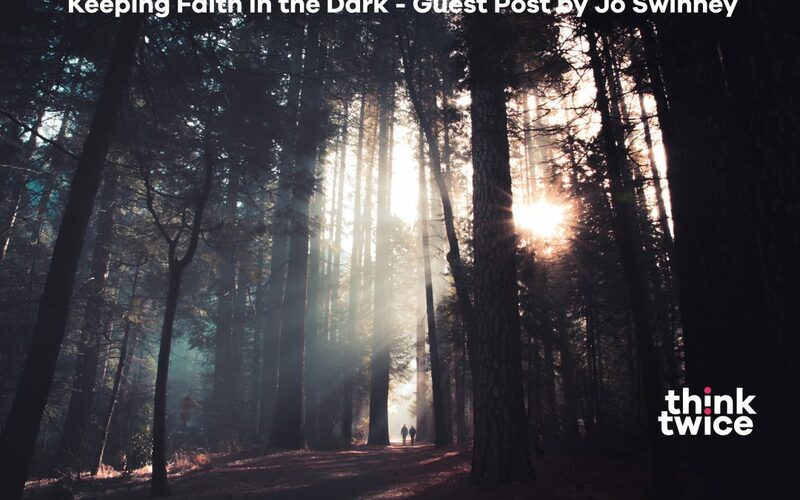 It’s tempting to blame the church, its leaders, its lack of pastoral care and missing theology of suffering when someone with depression falls through the cracks, but it works both ways. We need to fight our inclination to disappear and do what we can to stay present.